Hosting a corporate event isn’t just about creating a guest list and ordering food and drinks for guests to savor and sip, it’s also about ensuring that your guests have a good time. On-site photo booths are a popular way to encourage guests to interact and capture party memories, but with so many photo booth companies to choose from, it can be challenging to know which one will be the best fit for your corporate event. Having the right photo booth to provide event entertainment means the difference between an event that bores and an event that brings people together in a fun and favorable atmosphere. 1) Do they offer custom branding? Having a photo booth that is adorned in your company’s branding will add an extra sense of professionalism and pop to your event. 2) Does their booth make it easy for guests to take group shots? People are always hesitant to pose for a solo photo, but a booth that makes it easy for a group of people to jump in and get silly makes for a better experience, and a more exciting selection of photos! Open-air photo booths are the best for providing space to move, use props and pose with peers at corporate events. 3) Can guests print high-quality photos to post at their desks? People love to post printed photos from their office party at their desks to decorate their workspace. Using a photo booth that enables on-site printing makes it fun for party-goers to print and keep their photo keepsakes. 4) Can guests print multiple prints? There’s nothing worse than posing in a photo booth with a group, and then having to figure out who gets the final print. Many photo booths will only print out one picture, or a set of three, making it frustrating for groups of 4 or more who all want to keep a memento from the party. 5) Does the booth offer a variety of interactive props and backgrounds to create a fun interactive experience? Look for a company that offers more that the typical 3-5 props (there’s more fun to be had than posing with oversized sunglasses, wigs and mustaches!). Incorporated digital - and even animated props provides the guests with more options and a more fun experience! 6) Has the company worked on events similar to yours in the past? It’s important to make sure that the company you choose is familiar with your clientele. A photo booth business that has worked in a professional, corporate atmosphere is key, as you want your event to maintain a certain level of class. 7) Does the photo booth company include staff to manage the booth? People flock to photo booths in droves, so having a crowd controller is a must. Using a photo booth company that provides staff to help draw people in, manage the flow of traffic, and help with any issues that may arise will make things easier for the person running the event. 8) Does the company offer a variety of product sizes to suit your venue? Photo booths come in all shapes and sizes, as do venues. Finding a photo booth company that offers a variety of products to suit any occasion will make it easier to find the right fit for your event. 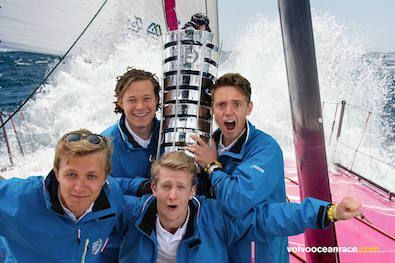 9) What do they use on the backend to create their photos? It’s important to make sure that your guests receive high-quality photos from your event - especially if you’re hoping for them to share the pics on social media. Find out what the photo booth company uses to snap their pictures, and if you do your research and choose a quality company, you’ll reap the benefits. 10) Is it possible for guests to share their photos on social media? People don’t just want to take home printed pics, they want to share them with their friends and followers on social media. A photo booth company that makes this easier for them, will give your brand a boost in the online space. 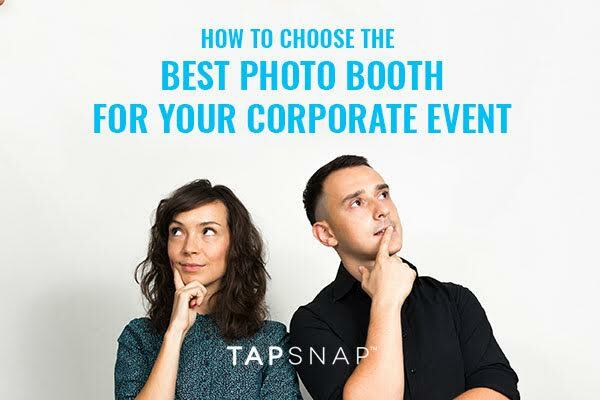 Not sure where to start your search for a photo booth for your corporate event? TapSnap’s booth check all the boxes and are available globally. Visit our site to learn more, and book your booth today.